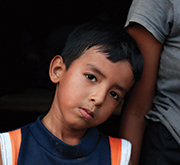 You can demonstrate a Christ-like love by helping a suffering child like Eliezer, 6. Eliezer’s desperately poor parents, Erika and Santiago, can do little more than watch helplessly as he and his baby brother, Felipe, endure the effects of malnutrition — unable to ease their pain. A drought, plus crop disease breed hunger in the rural area of El Salvador where Diana and her family live. 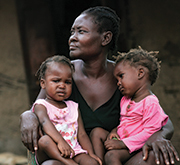 As a result, Patricia, Diana’s mother, must ration the food she will give her family to survive. YOUR GIFT FOR FOOD WILL BE MATCHED! For an anguished young mother in Guatemala, it means surrendering all to His purpose. Rumilia, 22, has remarkable faith in our Lord. 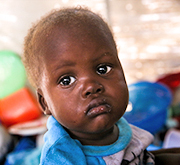 Though her 1-year-old son Elias is severely malnourished, she trusts in God. She loves her little boy with all her heart, but if he dies, she knows it is God’s will.